It’s time to spice things up a little and showcase the other fish the Cannery once processed. Herring season will soon be upon us, so it’s the perfect excuse to prove that it’s a tasty, healthy and sustainable choice. During World War II, the Gulf of Georgia produced herring canned tomato sauce to feed the troops. Nutritious? Absolutely. Appetizing? Not so much. 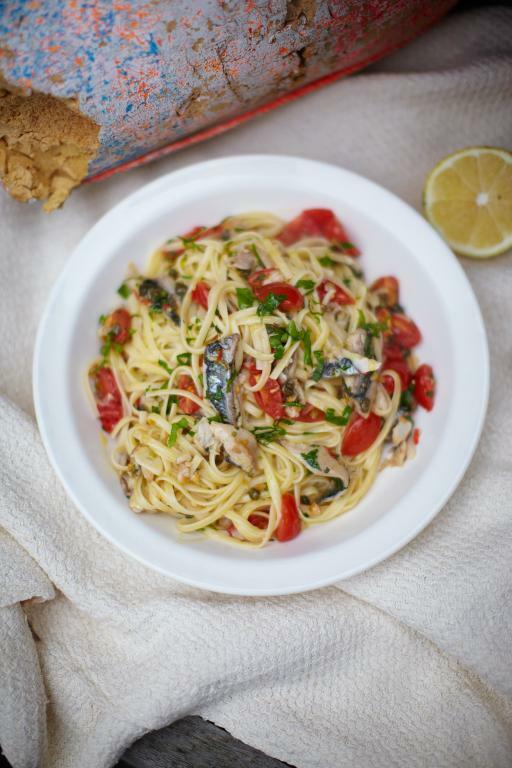 Take a leaf out of Jamie Oliver’s blog with his recipe for Mediterranean-style Herring Linguine, available on Jamie Oliver’s website. Cheap, cheerful comfort food – and who could resist his culinary charms?